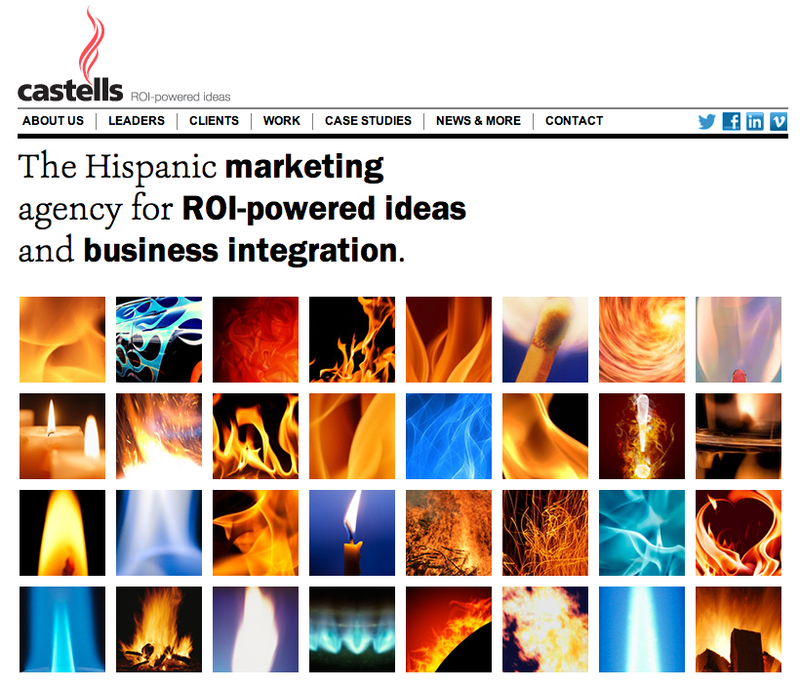 Los Angeles-based Castells & Asociados has relaunched its agency web site www.adcastells.com as part of an effort agency rebranding effort that showcases its breadth and depth of brand and sales-building work over 15 years. The new html site is more robust and engaging, includes social links and a few bells and whistles. This coincides with the agency’s evolved flame logo, tagline – ROI-powered ideas – reorganization, equity partner news, and getting back to pitching new business. “Our essence remains the same, we just coalesced and honed the communication of what we do, how we do it and what we bring to the party — and bring it to life in our site content. That meant creative samples within situational case study context with every-platform and 5-P activation examples, because that is our strength. Linking all the pieces across Client disciplines, units and partners, leveraging both commonalities and unique ethnic needs. Our digital, social, mobile, endorsements, PR and community efforts are interwoven to build the brand story and impact behavior and sales. Yes, we win creative awards, but our focus is results.